Available with Sofa (87″ x 37″ x 40″), Right Arm Corner Sofa (107″ x 37″ x 40″), Left Arm Corner Sofa (107″ x 37″ x 40″), 3 Seat Armless Sofa (90″ x 37″ x 40″), Right Arm Sofa (67″ x 37″ x 40″), Left Arm Sofa (67″ x 37″ x 40″), 2 Seat Armless Sofa (60″ x 37″ x 40″), Corner Chair (40″ x 37″ x 40″), Chair And Half (45″ x 37″ x 40″), Armless Chair (30″ x 37″ x 40″), Ottoman (32″ x 18″ x 23″), Right Arm Chaise (40″ x 37″ x 65″), or Left Arm Chaise (40″ x 37″ x 65″). 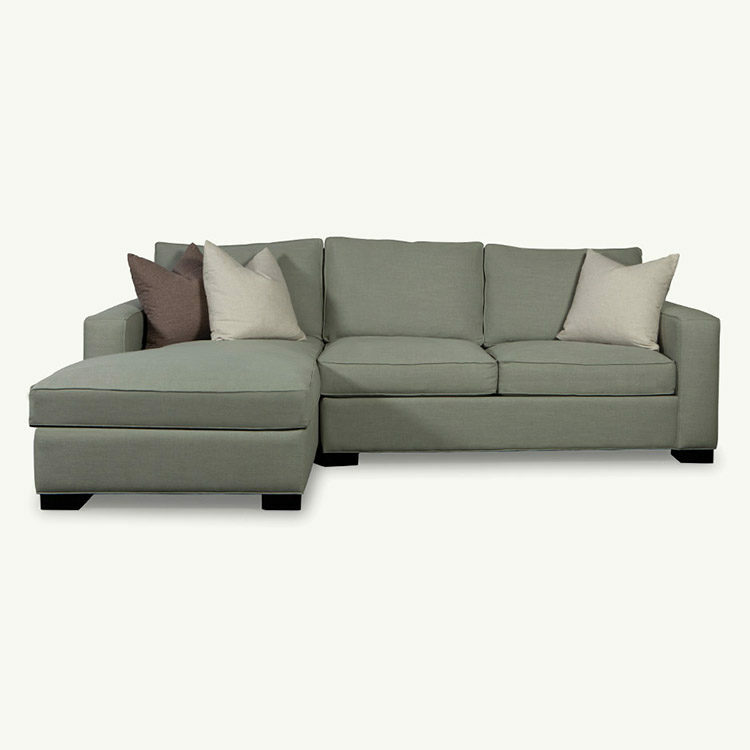 Build your Sectional or Sofa and Loveseat with your choice of standard fill or down wrapped fill cushions. Gracel is available in Quickship in your choice of 20 fabrics made in two weeks or select from over 100 other fabrics for an eight week delivery.